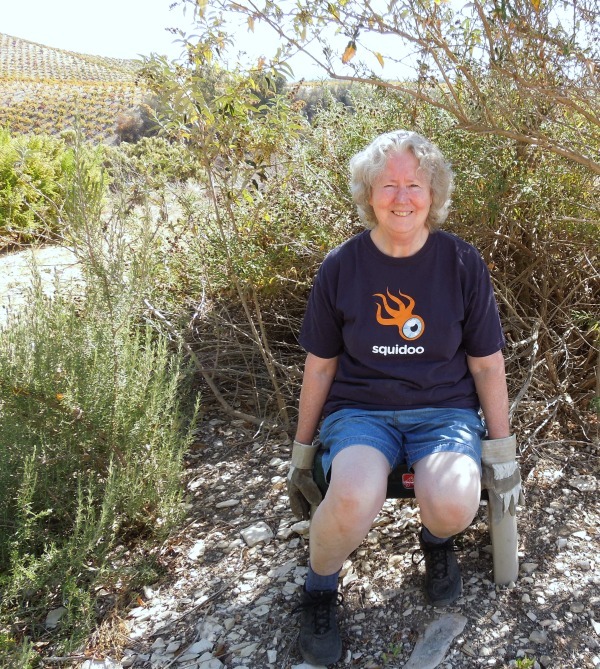 As I was driving past Paso Robles City Park a few days ago, I noticed the flowers on the magnolia trees, but had to hurry home and couldn't stop. 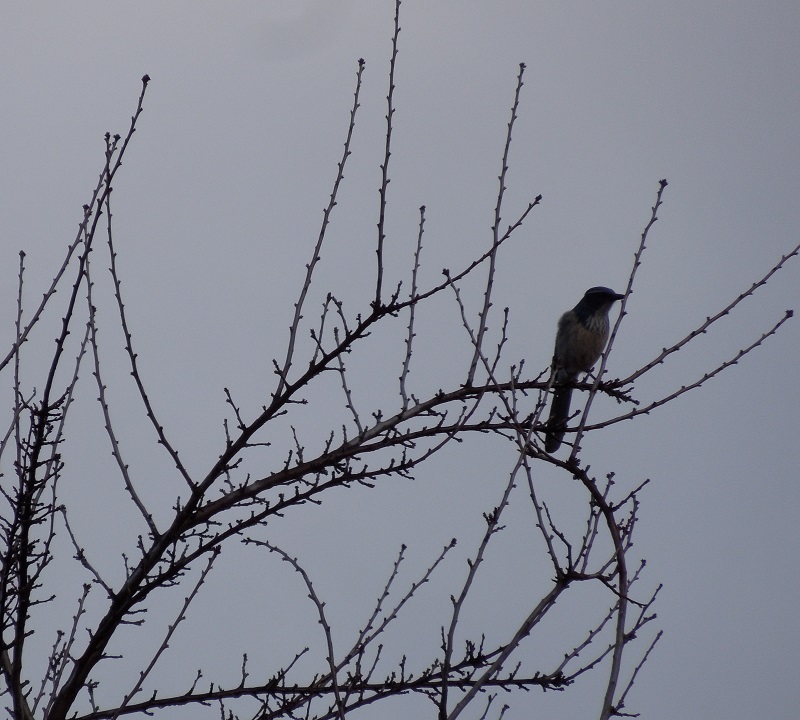 I went back yesterday in the late afternoon to photograph them. I couldn't help but notice that most of the flowers were near the top of the tree. 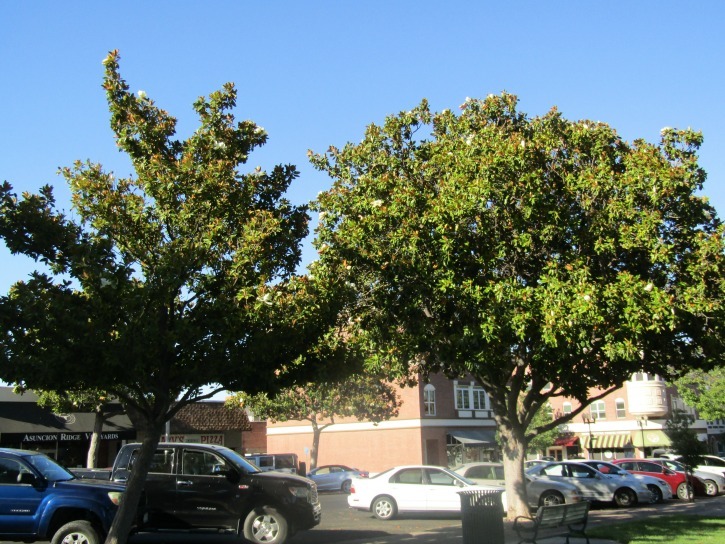 These evergreen magnolia trees are one of California's most widely cultivated street trees. The trees around the park aren't as tall as those I found on Oak Street two years ago. (See them here.) On those larger trees the flowers were more evenly distributed. 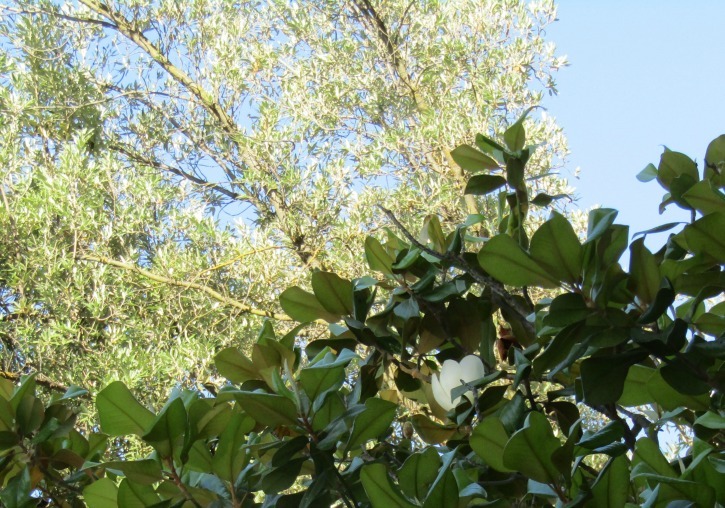 The park trees also have some flowers on the lower branches but they seem to prefer to grow at the edges. The flowers seem to want to get as close to the sun as they can. One on the tree below actually got above the roof of Pappy McGregor's Irish Pub, or so it appears from this camera angle. 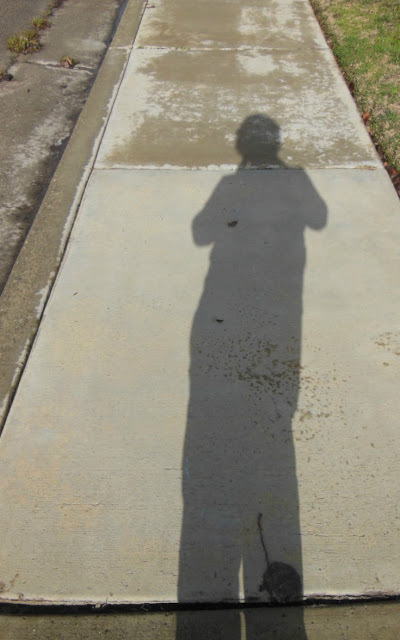 It was as I stood on the park side of Pine Street between two parked cars shooting the picture above that I felt something fall lightly against my leg. When I looked down, this is what I saw. I have no idea where the bird came from. I was not standing under a tree. I never saw the bird in the air. I just felt it hit me. I didn't see it until I looked down where it lay on the street. 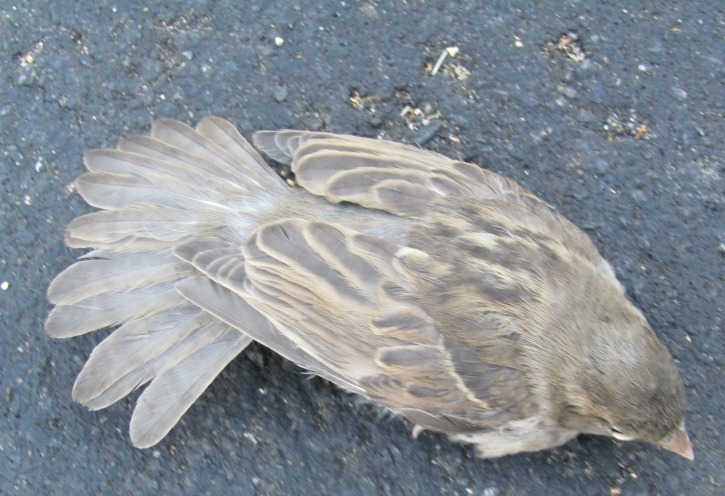 It was alive and could move its tail to fan it out, and it also spread its wings a couple of times. Its actual size was smaller than this photo. I wasn't sure what to do with it, so I left it there, hoping it would recover and move before something hit it. 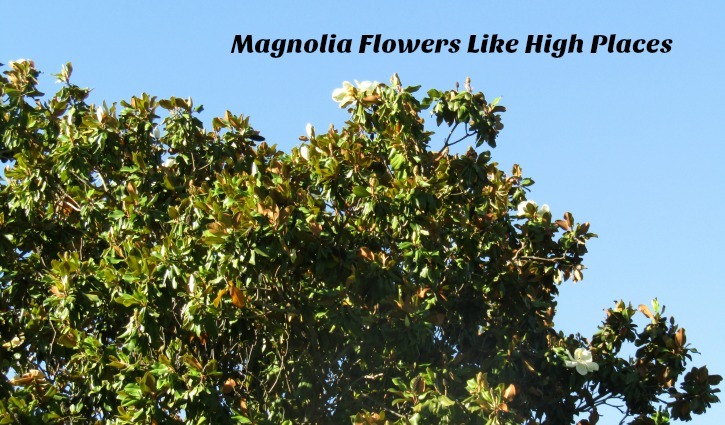 It was hard to get a clear close-up shot of the flowers because they were not only high in the trees, but they were also facing the sky. I had no way to get a shot of them from the top where one could see their faces best. 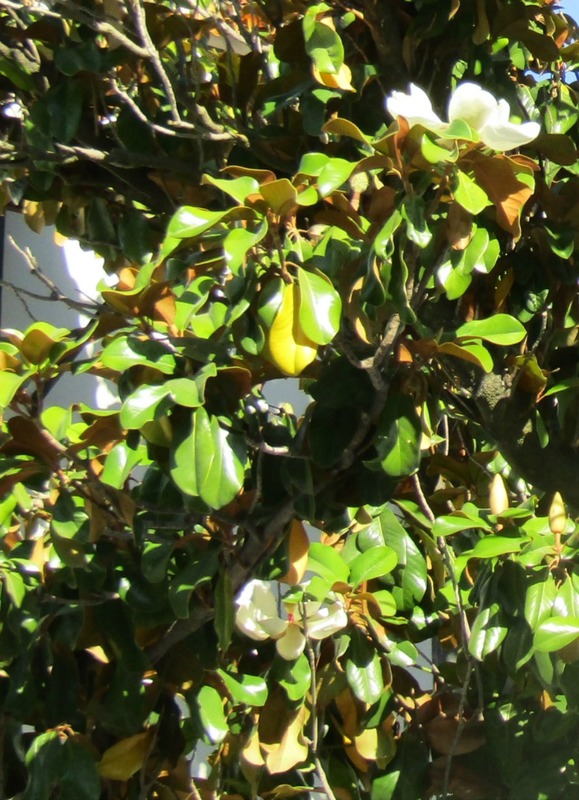 Below you can see the white edge of a flower near the bottom right edge of the photo. When only partially open like this it somewhat resembles a very large tulip. 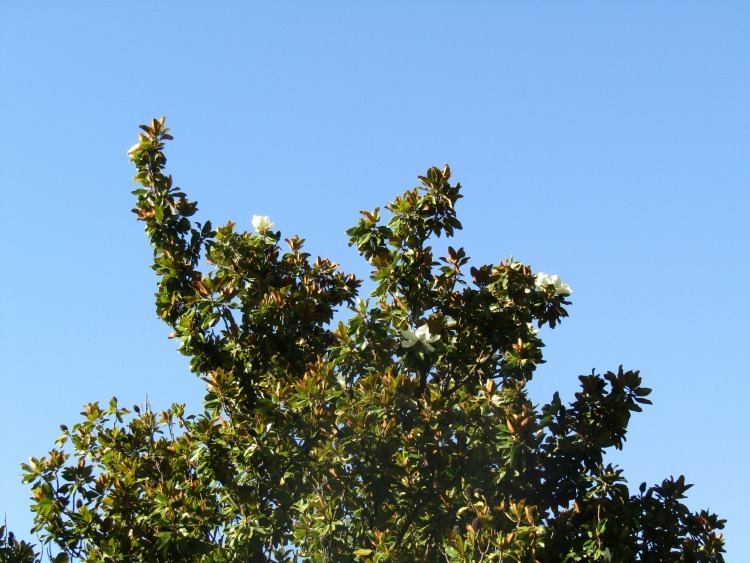 In the photo below, taken in front of Pappy McGregor's Irish Pub, there are two visible open flowers . The open flower at the top right gives you an idea of the flower's size, even though you can't see its face. You can see the face of the open flower near the center of the photo close to the bottom. The flowers are eight to ten inches in diameter and are very fragrant. 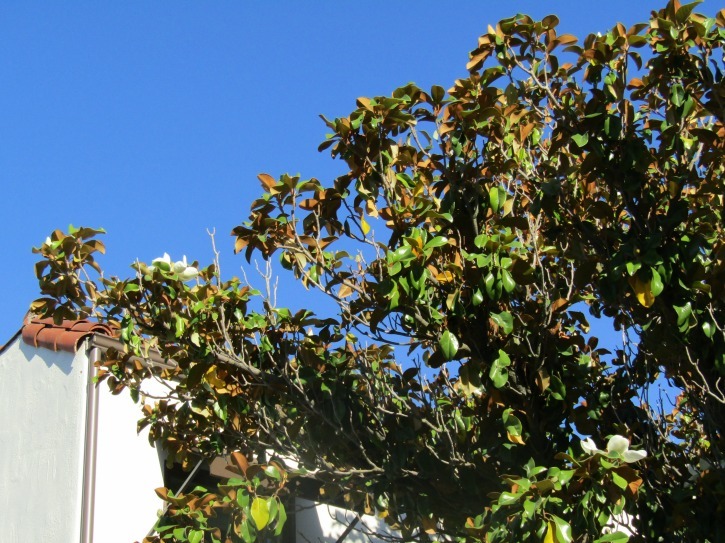 Do magnolia trees grow near you? Have you enjoyed their fragrance during the summer? It seems just yesterday my Lamb's Ears were only inches high. Then the flower spikes began to grow. Now the small flowers are in full bloom and the bees love them. 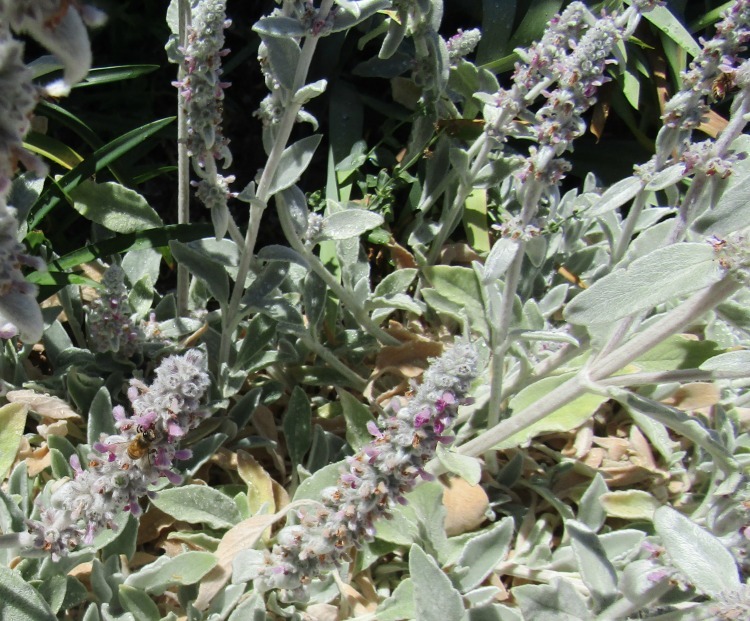 You can see one foraging bee in the bottom left in the photo below. You may also spot a couple of blurry ones. Bees don't stay still very long. And if one is still, several others are in the air or about to be. If you've ever tried to photograph bees, you know they like to move to a different flower as soon as you get them in focus. When my herbs are in bloom, each seems like an airport. 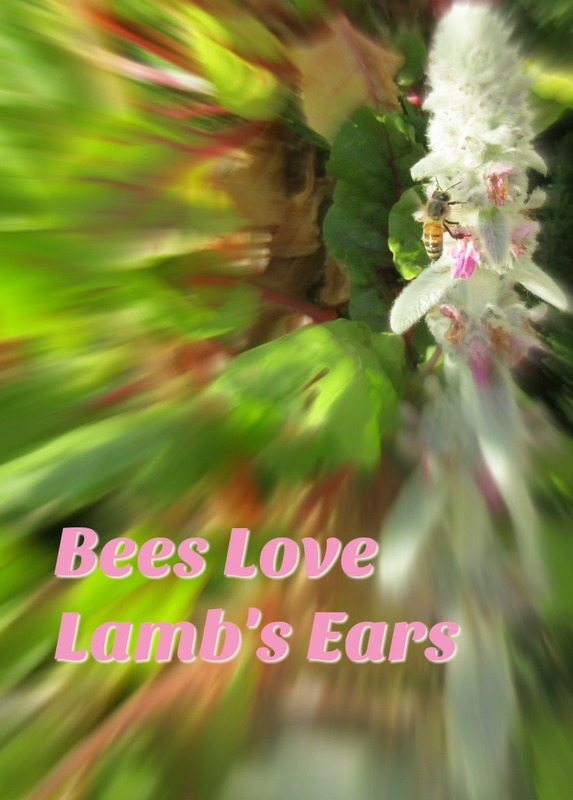 I decided to make a brief video to capture a few seconds of the bees moving around on this clump of Lamb's Ears . You can see how fast they are and how quickly they move from flower to flower. Unfortunately they also insisted on flying into the shadow and out. I did manage to get one bee to stay still and visible for long enough to get a decent shot. I played around with a focus effect to blur the background and make the bee easy to see. Bees not only move all the time, but they also hide. Sometimes all you will see is the head or the stinger end. Another reason I used the focus effect was to blur the rhubarb chard plant that was bolting. I liked its colors, but it was looking the worse for wear and it would have been a distraction. Leaving all the details in the chard would also have made the text on this photo harder to see. Have You Ever Hunted Bees with a Camera? Some insects are fairly easy to photograph, but not the bee. Ladybugs are pretty cooperative. So is the praying mantis. They don't exactly pose, but neither do they keep moving most of the time. Here are some of the photos I got of them and put on Zazzle products. You will notice that they are all on herbs. 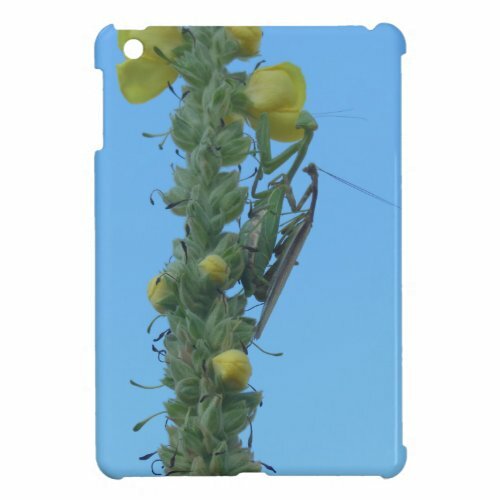 The Praying Mantis is on mullein. 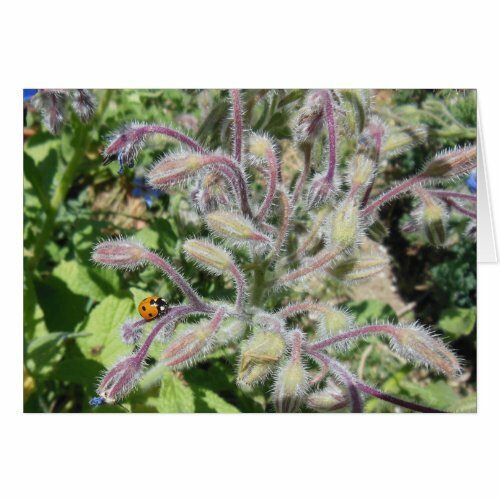 The ladybug is on borage. 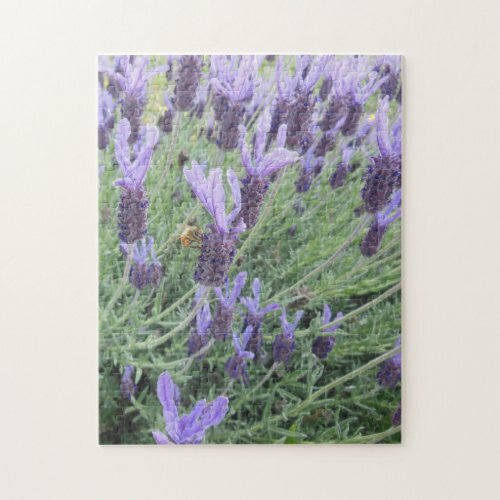 And I did capture that one bee on the Spanish lavender for my jigsaw puzzle. Which insect do you think is easiest to photograph?